Play and manage audio and video podcasts without ever having to sync with your computer. Discover and subscribe to new podcasts, play episodes over 3G/WiFi or download them for off-line listening. 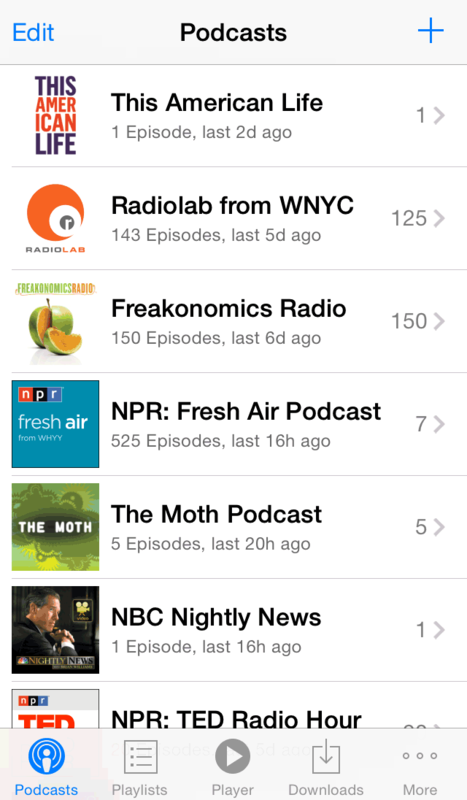 Subscribe to new podcast: tap + button on Podcasts screen. Then discover new podcasts or import your favorites. Download: tap episode's icon, then tap Download. When episode is downloaded, its download indicator changes from to . Play episode: tap on the episode itself. 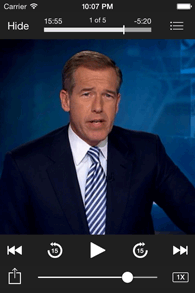 When episode is played to the end (or marked Played), its originally full played indicator becomes empty . Delete episode: tap episode's icon, then tap Delete. To restore episodes deleted by mistake unsubscribe and then subscribe back to the podcast. Show Notes: Pinch out on the list of episodes to see all notes in-line or tap episode's icon, then tap Show Notes to read one at a time. Select multiple episodes to Download, Play, Delete, Add or Mark: tap Select button on the navigation bar, then select episodes, then tap corresponding button on the toolbar. Feed Refresh is automatic. 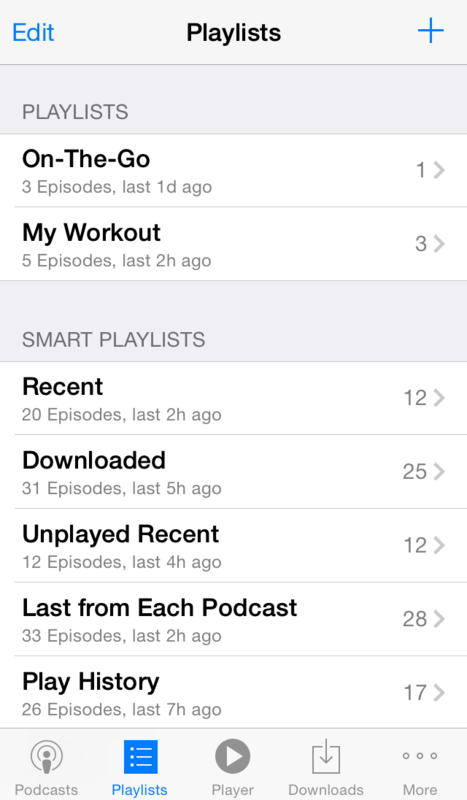 To start it manually, pull down on the list of podcasts, playlists, or episodes. 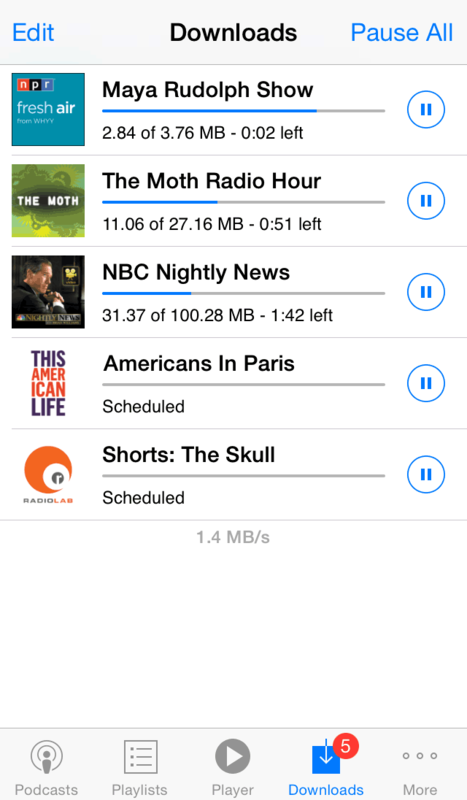 Auto-download Settings: tap More tab, then Settings, then Podcast Settings. Sleep timer: tap button on Player screen. If you have a major problem, for example, suddenly nothing plays or downloads, Restart your device by powering it down and try again. If you don't see new episodes or get duplicates after refresh, go to More > Settings > Podcast Settings and change "Type of Feed Update" to "Full Scan" for this podcast. Also make sure there is no filter set on the Episodes screen. Tap Filter button, then "Show All". If one particular podcast gives you trouble, Check if it works in iTunes. If it fails in iTunes as well, the problem is usually with the podcast itself. When contacting support, always include the name of podcast and episode you have trouble with, and provide enough details for us to re-create the problem. 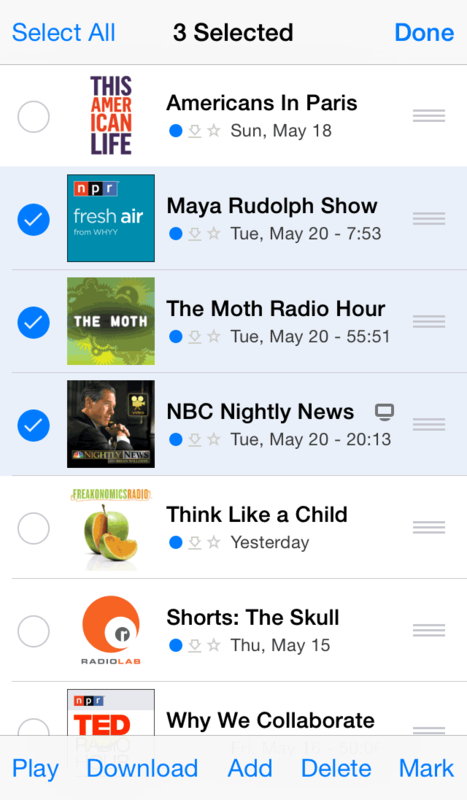 Q: Why can't PodCruncher manage episodes I have in Music App? A: 3rd party apps like PodCruncher don't have enough permissions to do it effectively. Q: How to subscribe to a podcast if I can't find it by searching or browsing? A: 1. Google the podcast name, find exact spelling, and use it to search again in PodCruncher and iTunes. 2. If still not found, try to find the URL of the podcast feed on the website of podcast author or ask the author to email you the URL. A valid RSS or Atom feed is an XML file that describes podcast and its episodes. 3. If found, the URL can be added by tapping + and then "Add URL/Import OPML" on the Podcasts screen. We would like to hear from you if you need help, find a problem or have a suggestion on how to improve PodCruncher. Also don't hesitate to tell us if you like the app. Copyright © 2014 Obsessive Coders, Inc. All Rights Reserved.